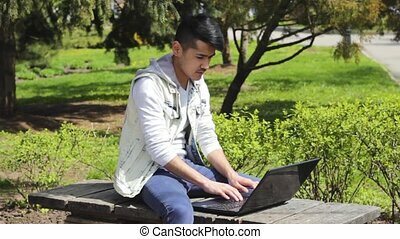 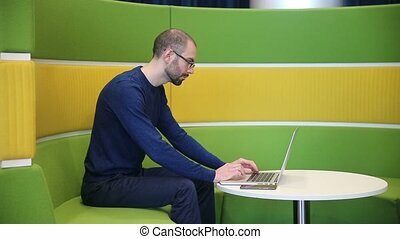 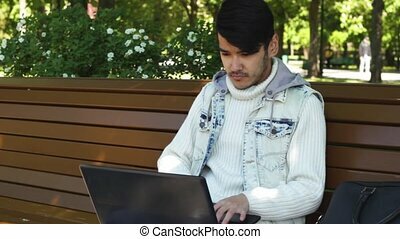 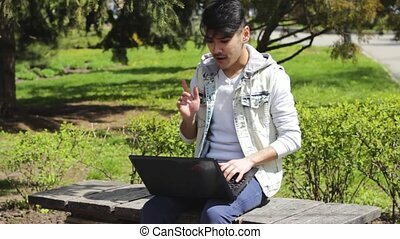 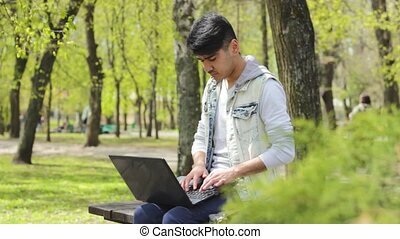 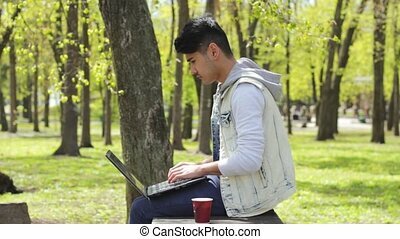 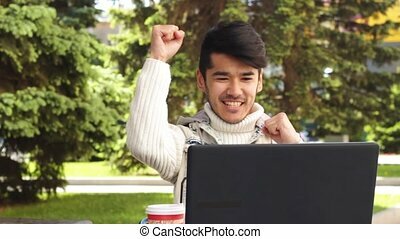 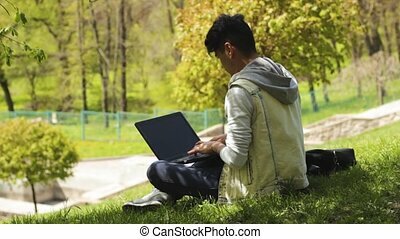 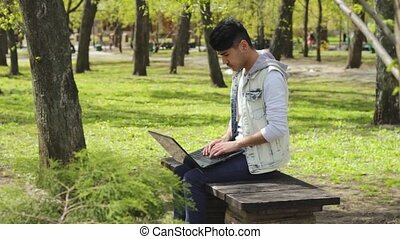 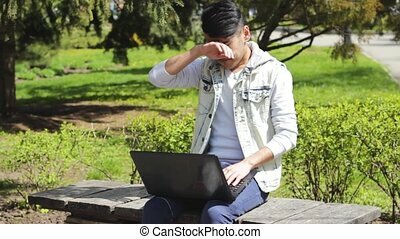 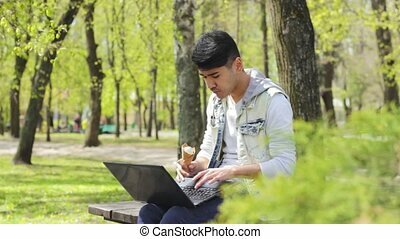 Asian man freelancer working on laptop and finding solution for his work. 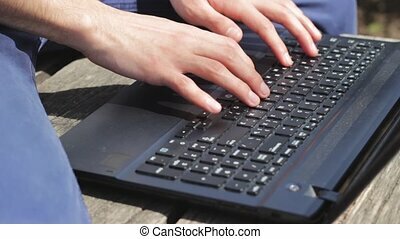 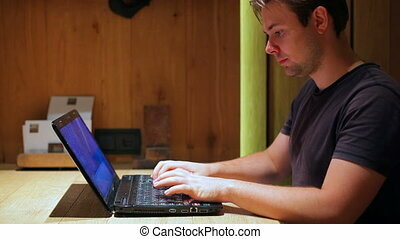 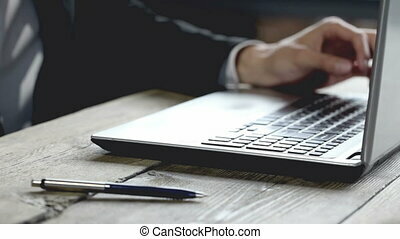 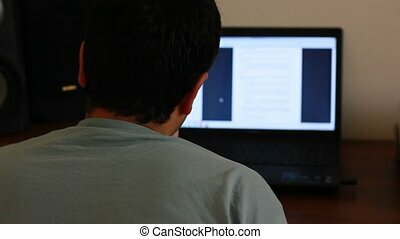 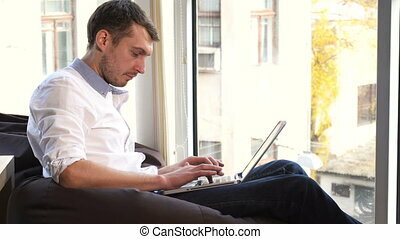 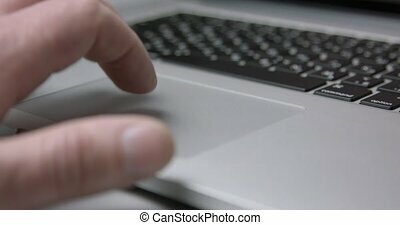 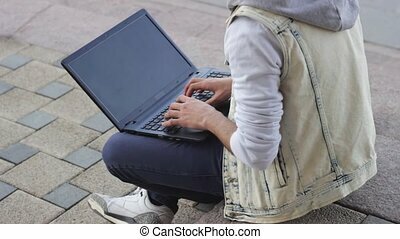 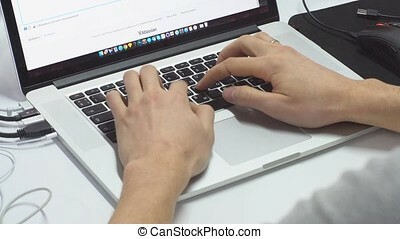 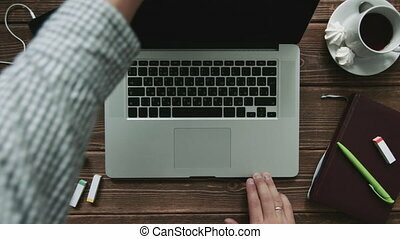 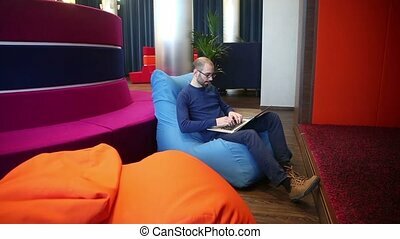 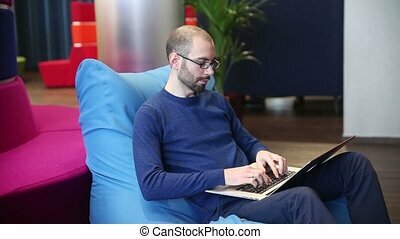 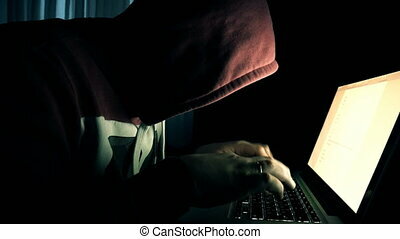 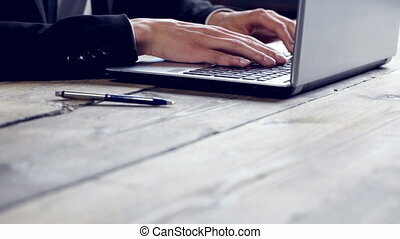 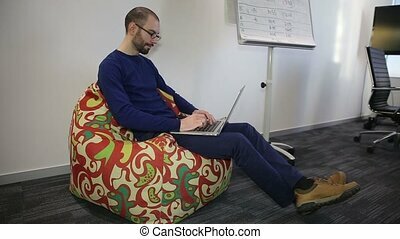 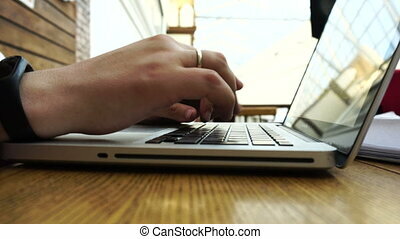 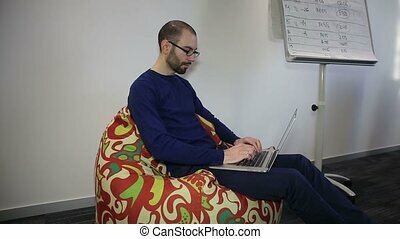 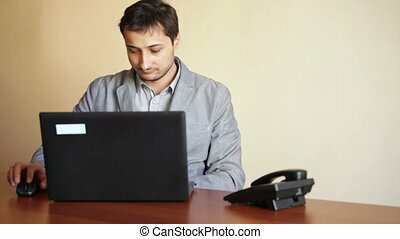 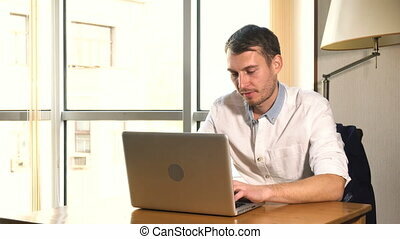 Man freelancer typing something on laptop. 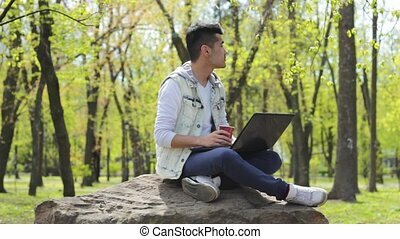 Working outdoor.